Love is always in the air! At Life, Love & Light Images, we know what comes next…The Engagement. And boy oh boy are we excited about it. Whether you and your partner have been together (what seems like) forever or only a short time and it was love at first sight, somebody’s about to pop the question. NO…I don’t mean, “Are you going to eat that?” The question that stops hearts and instantly takes your breath away. Are you ready for it?? “Will you marry me?” It might be the most important question you ask someone in your entire life and there are many ways to make it special which we'll go over. We have captured many beautiful proposals and engagements with our engagement photography shoots. In the lead up, there are still a few minor decisions to make or rather, they are kind of major, because they will be remembered forever. But no pressure! Do you ask your beloved’s parents permission? Have you chosen the perfect engagement ring? Diamonds are forever but your soul mate may love another precious stone more. 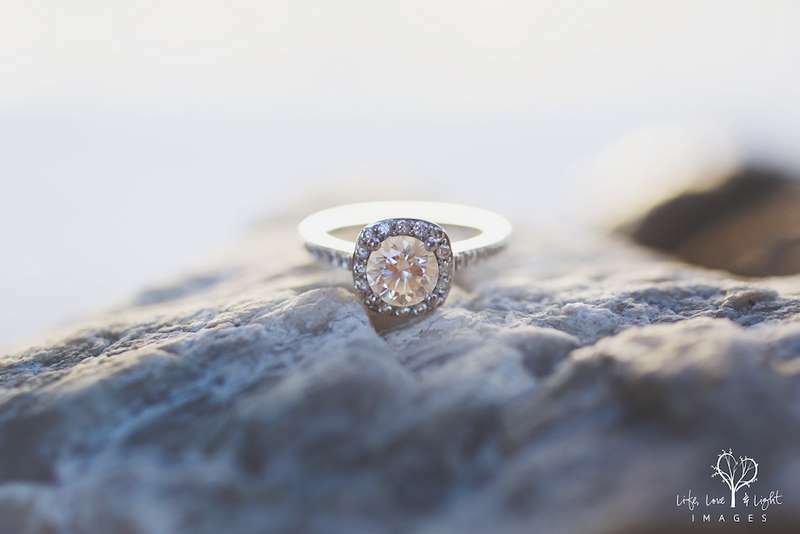 How about an ethical and eco-friendly diamond? There are some terrific companies that can give you that little bit of extra piece of mind and enjoyment from your wedding rings. I personally source all my diamond jewellery from Shiree Odiz because ethical jewellery is extremely important to my family and me. How are you going to pop the question? Will it be a grand gesture that you plan to the letter for months? Or an intimate, impromptu, quiet proposal? Think about what would make your partner’s heart sing…what would feel special to them. And remember that getting down on one knee is ALWAYS a classy, romantic touch. Two thumbs up! Do you hire a professional photographer to capture the proposal? There will be a lot of emotions at the time and it all happens so fast. If your sweetheart is anything like me…time stopped, my heart skipped a beat or two and I was at a total loss for words. So you don’t want to miss that moment or rely only on a post-engagement selfie, to tell the full story. Trust me (or ask just ask your friends) when we say that; in the moment, remembering to actually take some amazing photos of such a big moment in your life will be the last thing you are focusing on. Get a professional photographer to do it - you only get one shot at it! Proposal details, check. You ask, check. The answer is a joyous, undoubtedly YES! Excitement! Horns! Crying! Laughing! Kissing! Confetti…the works! Ok, where do you go from here?? First and foremost…relax, bask in the afterglow of newly engaged fabulousness. There is never going to be a moment exactly like this one. So really drink it in and marvel in the beautiful fact that your one and only true love has agreed to spend the rest of their days, snuggled up by your side. When you are both ready to come out of the love cocoon, which by the way, could be 5 minutes, 5 hours or 5 days. It is time to share the good news of your engagement. Some couples can’t wait to make it “official”…that is, with a Facebook, Instagram or Twitter post. You know the not so old saying…it didn’t happen until it happens on Facebook. HAHA! But seriously, this is where family and friend’s tears of joy begin to flow and pretty much don’t stop until you leave for your honeymoon. Decide whether to tell friends or family first and that decision really depends on whom you are closest to. For some, your friends are your family. So that would be a no-brainer! Then decide, yours or your partner’s first? Remember we want to start the way we mean to finish, meaning; don’t let this turn into you first disagreement. Be thoughtful, considerate and unselfish. Once everyone that you both love and care about has been informed of the glorious news, it is time to get down to business. Come on, don’t dillydally…we all know super long engagements end up losing their excitement. And we definitely don’t want that to happen. So lace ‘em up and jump right in…boots and all! Don’t get overwhelmed. Just do one thing at a time. Choose a date or at least start by choosing a season. Unless there is an extremely special date that is a part of your love story and is important to you both, stay flexible by choosing season. Do you want it warm or cool, hot or cold? Keep in mind, you want to be comfortable in a suit or detailed wedding dress. Summer, you will be sweating in jackets or layered dresses. And Winter, you may need to add to the bridal party’s wardrobe to keep them all warm. 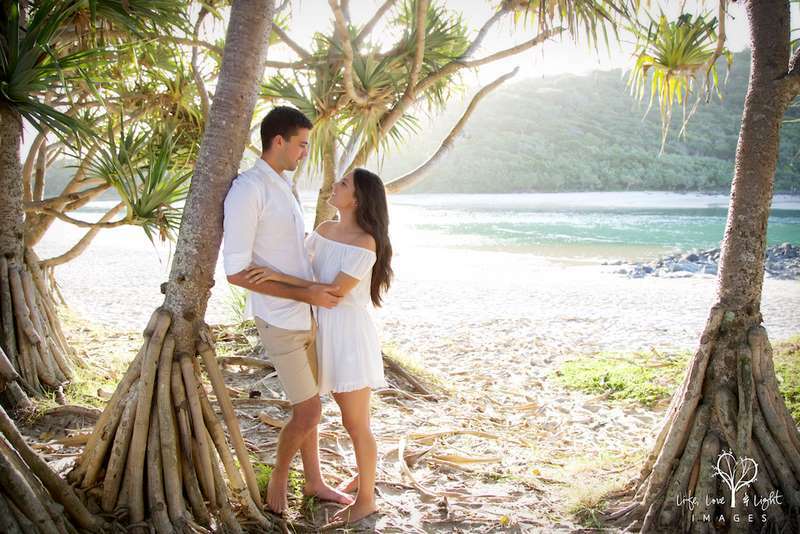 The peak wedding seasons are in Spring and Autumn months, where here on the Gold Coast as well as Brisbane all the way down to Byron Bay, the weather is the most temperate and predictable. Actually, the weather here in South East Queensland is quite perfect during those seasons. 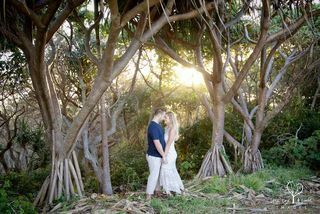 There are SO many stunning wedding ceremony venues on the Gold Coast, not to mention Brisbane, Mount Tambourine, Northern Rivers & Byron Bay. And the wedding reception venues are even more gorgeous. So to start to narrow down your choices, choose between a beach wedding, garden wedding or a hinterland wedding. Once you’ve made that decision, make appointments to tour as many venue that fit in your category. Most venues hold an Open Day where you can see all that the offer, including the service & food. So keep your eyes open for those. Some venues can book out 18 months in advance, so when you’ve chosen your favourite, be sure to get in good and early. Now for the most important part, in my humble opinion. Select the perfect professional engagement photographer. Now is the chance to grab that wedding photographer that you have been stalking (for months or perhaps years) on Facebook or Instagram. 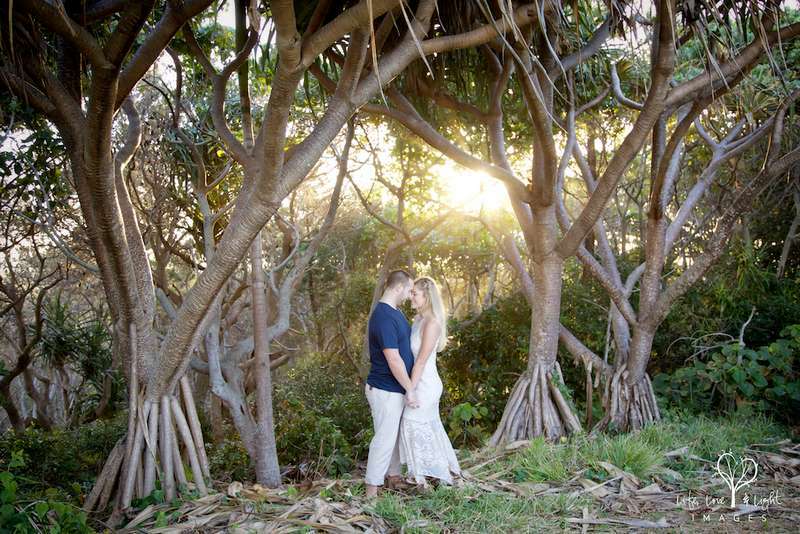 Because that is what it is all about, finding a fabulous professional Gold Coast photographer (hopefully us!) that you have fallen in LOVE with their work. That is one of the MOST important aspects to choosing your photographer. And since you are newly engaged, an engagement photography session is THE BEST idea. Most couples only have selfies together, it is a great way to have terrific images, have chance to get comfortable in front of the camera as well as meet your super photographer. 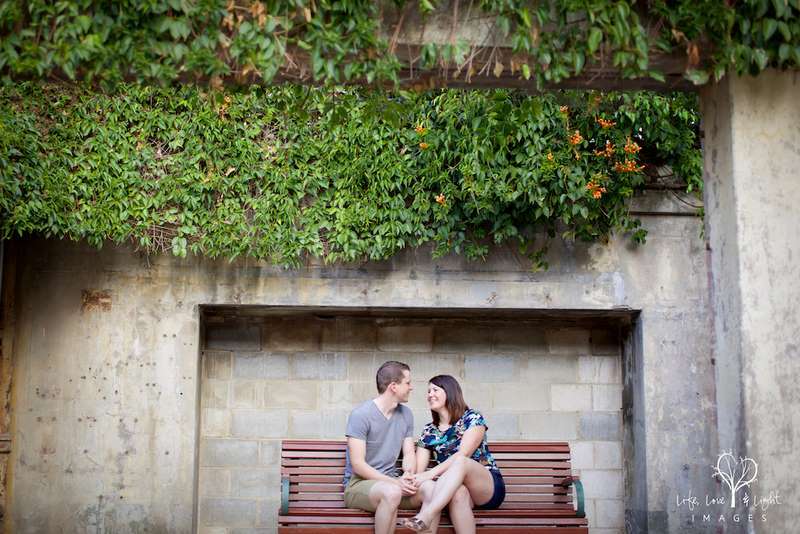 We highly recommend engagement session! Remember, similar to wedding venues, Gold Coast wedding photographers can book out 18 months in advance so do not wait. At this point, you have come a long way from just being in love to the first steps in your engagement. That is enough decision making for now. Take a little breather, but not too long, because there is still more action to be done. Support each other and remember to plan together.